A 16-year-old boy and a 17-year-old girl were fatally shot at the corner of 76th Street and Dorchester Avenue, police said. CHICAGO — Two teenagers died after being shot in a South Shore drive-by Tuesday afternoon, while a third teen was wounded, according to police. 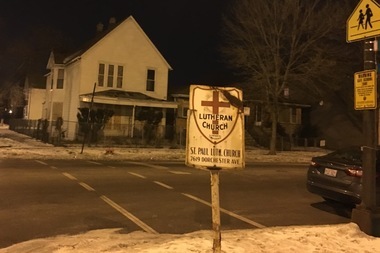 Two 16-year-old boys and a 17-year-old girl were standing on the corner in the 7600 block of South Dorchester Avenue at 3:35 p.m. when a car pulled up and someone inside opened fire, said Officer Michelle Tannehill, a Chicago Police Department spokeswoman. One of the 16-year-old boys was struck in his head and taken to Advocate Christ Medical Center in critical condition before he was pronounced dead, Tannehill said. The 17-year-old girl was shot in her chest and was taken to Advocate Christ Medical Center in critical condition before she was pronounced dead, Tannehill said. Sakinah Reed, 17, of the 9000 block of South Burley Avenue, was pronounced dead at 4:28 p.m., the Cook County Medical Examiner's Office said Wednesday morning. Donta Parker, 16, of the 7800 block of South Cregier Avenue, was pronounced dead at 4:31 p.m., the morgue said. The other 16-year-old boy was shot in his hand and was taken to St. Bernard Hospital in "stable" condition, Tannehill said.